Recognized almost immediately as a staged scene by astute observers, denounced by others as an unfounded accusation against Israeli soldiers, the Dura video has been analyzed, investigated, dissected, exposed, taken to court, attacked, defended, exploited, and debated for almost ten years. As it turned out, the Palestinian cameraman Talal Abu Rahma, who has won countless prizes for the video, captured less than one minute of the dramatic scene that lasted, according to his sworn testimony, for forty-five minutes. Forty-five minutes of uninterrupted gunfire "from the Israeli position" left the man and boy miraculously intact as far as one can gather from looking at the video. Contrary to what the world has been led to believe, there is no raw footage of the scene. And, contrary to what might be expected, this and other equally embarrassing revelations have left the Dura myth, to all intents and purposes, intact. In his latest attempt to silence critics of the controversial broadcast, Enderlin recently published a book-length defense of the original allegations, Un Enfant est mort (A Child is Dead), followed by the dateline Netzarim, 30 septembre 2000. Systematically presented in France as an internationally acclaimed expert on the Arab-Israeli conflict, the France 2 correspondent is virtually unknown in the rest of the world, except perhaps for his role as producer of the "Death of Muhammad al-Dura." Enderlin likes to scold critics of the broadcast by saying they have never set foot in Gaza and know nothing about war reporting. In spring 2011, riled by complaints in "communitarian" (i.e., Jewish) media about the failure of national media and, more particularly, the state-owned France 2 TV channel, to cover the blood-curdling slaughter of five members of the Fogel family in the Itamar settlement on March 12, 2011, the professional journalist treated critics to a lecture on his blog on how a newscast is composed. "I wish I could report all important events," he wrote, "the horrible Itamar crime, the tragic death of Palestinian adolescents killed last year by an Israeli strike on Gaza (… for which Benjamin Netanyahu apologized), rockets that fall regularly in the south of Israel." A news director, explained Enderlin with a touch of exasperation, must allocate limited air time to a flow of incoming news. Priorities are set according to "well-established criteria." With thousands dead from earthquake and tsunami in Japan, "the world's third largest economy," there was no room to cover "what happened in Itamar." The next day, he added, a short item was squeezed in on the consequences of the murder (i.e., anticipated settler violence). Until the culprits were arrested, opined the seasoned journalist, the attack could not be qualified as a terrorist assault. No such doubts about the identity of the culprits had tempered Enderlin's enthusiasm for the Dura video, aired within a few hours after its filming. No "well-established criteria" had weakened the conviction of his dramatic voice-over commentary: The boy was killed and the father wounded by gunfire from the Israeli position. Today, readily admitting that the Dura scene was exploited by, among others, the killers who beheaded Daniel Pearl, the France 2 correspondent asserts his right to unrestricted liberty: "If a journalist were expected to anticipate the subsequent use of his report by extremists, it would amount to unacceptable self-censorship." Does the Dura broadcast respect any well-established journalistic criteria? Reliable sources, corroboration, fact-checking, general credibility, coherence? Does the video actually correspond to the incident as it was reported? Was the original report modified by subsequent input? Does the journalist honestly address questions raised by serious investigators about the veracity of the report? The answer is no, no, and again, no. Though fed into the news stream, the Dura report was not produced as news. What was it, then? Sloppy journalism? 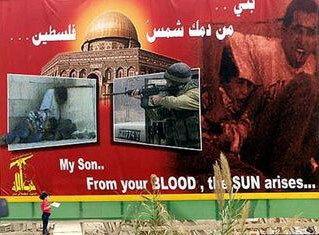 Crafty Palestinian propaganda? Perhaps a new form of street theater: a staged killing to represent the very real "murder" of Palestinian children, year in year out, at the hands of merciless Israeli soldiers? Or, more gently, a staged representation of the real killing of Palestinian children caught in the crossfire of an endless conflict? These and similar hypotheses fly in the face of the testimony of the sole eyewitnesses—Talal Abu Rahma and Jamal al-Dura—and the France 2 correspondent who brought the incident to the world's attention. Careful study of the literature shows that no credible defense of the Dura scene as a legitimate news item has ever been formulated. Arguing the case that they brought before the French courts as plaintiffs against media watchdog Philippe Karsenty and other defendants, Enderlin and the France 2 hierarchy were unable to furnish any new material evidence to prove the video's authenticity. Likewise, in his recently published Un Enfant est mort, the author rehashes the original narrative, twisting and tweaking here and there to cover with new inventions some of the glaring anomalies exposed by his detractors. Here is an example of the method and its madness: What became of the spent shells left at the feet of the victims, which would furnish irrefutable proof of the source of the alleged forty-five minutes of uninterrupted gunfire? The France 2 cameraman Abu Rahma, who has repeated in countless interviews the enveloping narrative that gave substance to his brief non-graphic video, was no match for Esther Schapira of the German broadcast network ARD, who caught him in a convoluted explanation of the disappearance of the spent shells. First, he told her that the Palestinian general Osama al-Ali had the bullets, to which she argued that she had footage of the general denying that he had the bullet casings. Abu Rahma stumbled, then admitted that France 2 had them, breaking into an irrepressible smile of pure deception. Now Enderlin sets the record straight: "If Esther Schapira had bothered to ask, she would have learned that the Palestinian general Osama al-Ali went to the site early in the morning after the death of Muhammad al-Dura to examine the barrel and, so doing, he put the stone back on top of it, as it was in the France 2 video. He also gathered all the spent shells and asked our cameraman not to tell anyone." Is this the work of a responsible French-Israeli journalist and his loyal Palestinian cameraman? Is no one shocked or embarrassed by this confession? Did the dozens of French journalists who signed a petition in defense of Enderlin, victim, in their eyes, of conspiracy theory whackos backed by a communitarian lobby, read this passage? Did the journalists who served Enderlin a microphone on a silver platter in so-called interviews to promote this book ever read that passage? Or would they argue: "In case you don't know it, journalists have a right to protect their sources." Their colleague, Enderlin, demeans every individual, newspaper, magazine, or online media that has dared to cast doubt on the authenticity of the Dura incident. Muhammad al-Dura, alleged victim of merciless Israeli soldiers, was reportedly twelve years old; more of a youth than a child. What is the connection between the world-shaking news of his death and the eerie journalistic silence that veiled the murder of a 3-month-old Jewish infant, Hadas Fogel, on Sabbath eve? The baby's throat was slit so far she was nearly decapitated. Two of her brothers were slaughtered like animals in their beds. Their mother and father, who tried to protect the children, were stabbed to death. The bloodied, stabbed, slashed corpses lay in pools of blood. The Dura video, by contrast, displays no signs of violence, bodily harm, or untimely death. The sensation of violence is induced by the voice-over commentary, by the grimaces and gestures of the alleged victims, and guttural cries from unseen observers within range of the microphone attached to Abu Rahma's camera. One might ask with feigned innocence why the picture of a man and boy bearing absolutely no signs of physical assault would stir the collective soul of humanity to its utmost depths while the vicious bloody slaughter of three young children and their parents—coupled with the heartbreaking portraits of family members when they were still alive and full of light—seems to provoke an embarrassed shrug. Stripped of its context and significance, the slaughter of the Fogel family was apparently handled by newsrooms as a onetime crime whereas the Dura incident, enhanced by a crudely fabricated narrative that escaped critical examination, was raised to the highest media power. Is there a connection between the unfounded certainty about the identity of Dura's killers and the artificial doubts about the murderers of the Fogel family? Yes, if there is a connection between blood libel and genocide. The twenty-first-century blood libel branding Israelis as child-killers, like the earlier version that accuses Jews of killing non-Jewish children for ritual purposes, is intractable to factual evidence. Deconstruction of the Dura myth encounters a cascade of problems: Only a tiny minority of the general public has the slightest knowledge of the case. That tiny minority of informed, convinced, discerning observers can at best enlarge its circle by small increments, leaving essentially the whole world still believing that a Palestinian child was deliberately shot by Israeli soldiers. Those who are convinced by the mass of concrete evidence to the contrary, rarely figure among the population that will commit genocidal acts based on or reinforced by the blood libel. Though scriptural and historic Islamic anti-Jewish bigotry would suffice without the Dura incitement to fill certain hearts with murderous rage, the Dura blood libel, indelibly engraved in the public mind, interferes with the perception of a rising genocidal wave. Blood libel incites and excuses genocidal attacks on Jews whether they are the slaughter of the Fogels, shahid operations (misnamed "suicide bombings"), rocket attacks from Gaza, or the promise to wipe Israel off the face of the earth. One way of disguising genocidal attacks is to treat them like common crimes. Was the Fogel massacre soft-pedaled because of an overabundant news flow or was it kept out of view precisely because it reveals genocidal intentions? A similar mechanism operated in France to cover the true nature of two atrocious murders of Jews. The Sébastien Selam murder was literally attributed to one third jealousy, one third insanity, and one third anti-Semitism. The twenty-seven defendants in the kidnapping, torture, and murder of Ilan Halimi were tried behind closed doors in the court of first resort and again in appeals court. Attempts to expose the true nature of these killings have been decried as Jewish hypersensitivity, tribalism, self-interested exploitation of suffering, manipulation of the judicial system by pressure groups, and shameful resort to primitive vengeance. These and other acts of gratuitous, unmitigated cruelty were committed in a context of explicit genocidal intentions that are willfully ignored or denied. By contrast, the alleged killing of Muhammad al-Dura is readily accepted though framed by a ludicrous narrative. Cameraman Abu Rahma and the surviving victim, Jamal al-Dura, insist that Israeli soldiers deliberately shot at the defenseless civilians for forty-five minutes until they had critically injured the man and killed the boy. Insisting adamantly that the gunfire came solely from the Israeli position, they claim the soldiers could clearly see the target. One can imagine that television viewers believed they were watching the scene from the same vantage point as the soldiers, who saw it in a close-up, as it appears in the video, looking more like a poster than a news clip. Soldiers do not need forty-five minutes to hit a sitting target at close range. Obviously embarrassed by this detail, commentators seeking to show that critics of the Dura story are wrong-headed often replace the forty-five minutes of uninterrupted gunfire with a more credible crossfire. Blithely contradicting the two eyewitnesses, they create a more palatable version of the incident for Western consumption while tacitly admitting that the Dura report is for some reason excluded from factual analysis. Whether one prefers forty-five minutes of relentless gunfire aimed at the man and boy, or forty-five seconds of crossfire, Jamal al-Dura's wounds combined with his grief at losing his son are given as evidence of the veracity of his testimony. The wounded man wrapped in bloodied bandages was filmed on his hospital bed the day after the incident. He has dramatically described the wounds, bullet by bullet. His scars were displayed on several occasions, most recently in a film made by Abu Rahma for screening at a semiprivate press conference organized by then-news director of France 2, Arlette Chabot, in 2004 when two mainstream journalists, Denis Jeambar and Daniel Leconte, came close to exposing the Dura broadcast as a staged scene. Those wounds are now at the center of a libel suit brought by Dura against journalist Clément Weil-Raynal and the Israeli surgeon he interviewed, Yehuda David, as well as Serge Benatar, editorial director of the Actualité Juive weekly, who published the interview. David has testified under oath that the scars exhibited by Jamal al-Dura were not inflicted by gunfire in September 2000; they were inflicted by knives and an ax wielded by fellow Palestinians who attacked Jamal in 1992. David did reparative surgery, successfully restoring the patient's use of his right hand. On April 29, 2011, Weil-Raynal and David were found guilty of public defamation of Dura. The text of the decision is incoherent, illogical, and peppered with contradictions. The defendants have appealed. In the meantime, Metula News Agency—one of the major sources of investigation and analysis of, in their words, the "Netzarim Controversy"—reexamined a passage in the video. As he describes how a bullet pierced his right hand, Jamal waves a report from the Jordanian hospital where he was treated several days after the alleged shooting. A zoom on the document shows that Jamal was treated for a gunshot wound to the left hand. In fact, a close look at the Dura "death scene" reveals that Jamal's right hand was deformed in the first image, shows no signs of additional damage at the end of the brief video, and looks exactly the same today as it did before it was allegedly pierced by an Israeli bullet. Charles Enderlin asks, rhetorically, how Palestinians could be so clever as to stage the Dura scene in the middle of a fierce gun battle. But raw footage shot at Netzarim Junction shows that "fierce gun battles" were also staged that day. While men and youths attacked the Israeli outpost with rocks, firebombs, and burning tires, fake battle scenes were filmed in another part of the junction, out of range of the Israel Defence Forces outpost. Many staged scenes and Israeli atrocity hoaxes have been launched and eagerly consumed by the Western media in the past decade. Abu Rahma and Enderlin relayed the Gaza blackout hoax in 2008. The term "fauxtography" was coined for the method used in the 2006 Lebanon war. The Dura scene is particularly resistant to demystification. The emotional investment elicited by the incident extends far beyond the core population of anti-Zionist anti-Semites. This is due, some would argue, to the dramatic construction that draws the viewer into identification with the father, said to be desperately trying to protect his son. Then, in a brief lapse of time, less than one minute, the helpless father is said to be critically wounded, and his child is dead. Viewers feel that they should have jumped in and saved the child. The vast majority of articles devoted to the Dura affair begin, notably, with a visual memory of the scene (e.g. "the boy dies in his father's arms") induced by testimony from the two eyewitnesses but contradicted by the concrete reality of the video. A recent incident in the Libyan capital of Tripoli shows how journalists can, if they so desire, exercise healthy skepticism when invited to cover staged scenes. Reporters were shown damage allegedly wreaked by a coalition strike on the home of a prosperous, well-dressed gentleman. Furniture and personal belongings were topsy-turvy, but there was no sign of an explosion, breakage, or soot. The alleged victim argued that his home was not a military target: "The children were doing their homework." A reporter, displaying missile fragments in the garden, points out the absence of signs of an explosion on the site. The crater, which was apparently dug for the occasion, does not correspond to the munitions displayed as evidence. Other television reports on mass funerals or wounded civilians taken to hospital were accompanied by levelheaded warnings: "None of this can be verified. We have no way of checking this information. The wounded were perhaps used by Qaddafi's forces as human shields; they may be soldiers disguised as civilians." All of that lucidity should also be retroactively transposed to Israel's 2009 Cast Lead operation in Gaza. The same manipulations were practiced by Hamas without evoking the appropriate skepticism. (Richard Goldstone has just admitted that his report was based on faulty information, to which Jeffrey Goldberg commented: "Well, I'm glad he's cleared that up. Unfortunately, it is somewhat difficult to retract a blood libel, once it has been broadcast across the world.") Obviously, and regrettably, staged news, parroted agency dispatches, falsified documentaries, and sloppy journalism are common fare. When, however, Western media serve as facilitators for hostile forces engaged in geopolitical operations aimed at radically transforming the international balance of power, they cannot be shrugged off as the petty misdemeanors of mass communications. Israelis in particular and Jews in general are the target of the Dura blood libel, but it does not stop there. Other "lethal narratives" are funneled into the news stream with exquisite ease. Viewers have been presented, since December 2010, with what the world media has termed the "Arab Spring." Though the footage in this case is not staged, it is subject to highly selective editing and transformed by way of narrative into a spontaneous uprising of freedom-loving democrats throwing off tyrannical rulers in certain Arab-Muslim countries. Western governments are expected to align themselves with the popular uprising at the speed of television coverage: Anchormen and women, who identify with the crowd in this or that liberation square, set the pace, and Western leaders appear to follow suit. European heads of state scramble to outrun President Obama with imperious demands for immediate compliance. The targeted autocrat is told to abdicate. His misdeeds are splashed across the screen; his foreign investments are frozen; his crony capitalism is denounced; his wife is vilified, and his opponents are portrayed as Internet savvy, cosmopolitan, secular, charming, young professionals who would fit in with one's dinner party guests tomorrow evening. This young Facebook-Twitter image is pasted over the somewhat grimy reality actually captured by television cameras. Soothing words flow from the mouths of journalists determined to deny the reality of Star of David graffiti, women in hijab (Islamic head covering), men with Islamic beards, shouts of Allahu Akbar (Allah is great), row upon row of prostrate men praying in the "secular revolution" square, man-in-the-square interviewees promising to destroy Israel, Muslim Brotherhood figures waiting in the wings, confusion, connivance, danger, violence, and sexual assault. Spring blossomed with the "Jasmine Revolution" in Tunisia. In the space of three days, commentary went from, "What Islamists? There are none!" to "The dictator ben Ali had excluded many groups, including the Islamists, from the political arena" to "Of course, the Islamists, like other parties, will assume their rightful place in the democratic process." Step by step, country by country, in what was supposed to be an entirely positive, virtually unstoppable momentum, the conflicts become more violent, culminating at this writing in the Libyan adventure—armed intervention by a hastily concocted, essentially untenable coalition that includes, or included, the Arab League. Western journalists and reporters, like gawkers at a country fair, run from one show to the next, rarely looking back to report on retrograde forces gobbling up freedom-lovers or newly-liberated nations spilling out refugees. Over 20,000 have landed in Lampedusa since January 2011, and thousands more are on the way. Jews are harassed in Tunisia; Copts are persecuted in Egypt; Shari'a is poised to replace the arbitrary rule of the dictator with an implacable tyranny. The question is not, "How could we have known it would turn sour?" Nor can one conclude that, come what may, democracies should always act to defend a popular uprising even at the risk of paving the way for a new autocracy. The question is rather: What will become of democratic countries if they abdicate their international relations and defense to a consortium of the United Nations and international opinion? The power balance in the Middle East is undergoing a radical transformation that touches Western vital interests, not the least of which is the security of Israel. Old-fashioned national sovereignty is nearly as unpopular as the Oriental potentates pushed out of their palaces and into a black hole. Democratically-elected leaders committed to defending the welfare and security of their citizens are now expected to prove their integrity precisely by ignoring that responsibility. A crowd with slogans and banners is instantly awarded the title of "humanity," and everything done to satisfy their demands is "humanitarian." Of course, the citizens of democracies should be inclined to welcome liberation movements against tyrannical rulers, but it is absurd to actively support movements that may well shift the international balance of power toward greater tyranny. And what does all this have to do with the Dura hoax? The answer is: far too much for comfort. As suggested above, the staged Dura death scene was conceived by forces hostile to Israel and Jews and made credible by the Western media that relayed it. Though the video and its narrative are crude, the prestige of Enderlin and the French television network have protected it from the profound reexamination that could eventually remove its sting. Similarly, the restructuring of the Middle East, which could ultimately deliver free individuals, groups, and nations into the hands of our enemies, is prettied up by the Western media that, hand in hand with official discourse, makes one believe this change harbors no danger. Citizens of the free democracies are enticed into trusting the United Nations, which has in fact lost its integrity, instead of counting on their democratically-elected governments and national sovereignty. Finally, who is that international community with its international opinion enthroned like bloodthirsty spectators of gladiatorial combats, empowered to give the thumbs up or thumbs down? Is it not the dumbstruck viewer convinced that this Palestinian child, a "target of gunfire from the Israeli position," could escape death if only he would come to the child's rescue? In a parallel inversion, jihad conquest justifies itself as a defense against aggression by infidels who refuse to accept the dominion of Allah and comply with Shari'a law. The Palestinian child is not a real victim of real bullets; he is the symbol of that "aggressive" refusal to submit to Islam. The murderous rage unleashed against Jews in response to that symbolic aggression reveals its genocidal intent. The fury is now aimed at Christians in Muslim lands, at Americans and Europeans on their own soil. Panic strikes the embattled citizens of our lands—not at the thought of this merciless jihad, but panic at any attempt to discern it, describe it, defend against it. Israel is not the victim of a double standard; it is the target of no standard at all. The reasons for this are profound and cannot be limited to anti-Semitism. The fear and trembling provoked by the crudely fabricated Dura scene is the misdirected terror instilled by genocidal forces bearing down on citizens of free democracies. These citizens are the helpless child cringing in fear. No matter how honestly that force designates itself, how clearly it shows its face, how vast the territory it covers, how frankly it expresses its intentions, the frightened child seeks comfort in accusing himself of his imminent destruction. Nidra Poller is an American novelist and journalist living in Paris since 1972. A collection of her short stories, Karimi Hotel et autres nouvelles d'Africa, was published by l'Harmattan in May 2011. "The Muhammad Al-Dura Blood Libel: A Case Analysis," interview with Richard Landes, Institute for Global Jewish Affairs, Jerusalem, Nov. 2, 2008. See Philippe Karsenty, "We Need to Expose the Muhammad al-Dura Hoax," Middle East Quarterly, Fall 2008, pp. 57-65. Charles Enderlin, Un enfant est mort/ Netzarim, 30 September 2000 (Paris: Don Quichotte Editions, 2010). Victor Perez, "Charles Enderlin nous prend pour des simplets," Victor Perez Blogspot, Mar. 25, 2011. Joel J. Sprayregen, "The New York Times and the al-Dura Hoax," The American Thinker, July 17, 2008. Enderlin, Un enfant est mort, p. 99. Karsenty, "We Need to Expose the Muhammad al-Dura Hoax." Esther Schapira, dir., Drei Kugeln und ein totes Kind, Mar. 18, 2002, ARD Network (Germany). Enderlin, Un enfant est mort, p. 52. Ibid., pp. 112, 117, 125, 135, 153. The Guardian (London), Mar. 14, 2011. The Jerusalem Post, Jan. 21, 2010. New English Review (Nashville, Tenn.), July 13, 2009; Le Monde (Paris), July 21, 2009. Larry Derfner, "Rattling the Cage: Al-Dura and the Conspiracy Freaks," May, 28, 2008; Gideon Levy, "Mohammed al-Dura Lives on," Ha'aretz (Tel Aviv), Oct. 7, 2007. Andrea Levin, "The New York Times Buries al Dura Story," CAMERA, Feb. 7, 2005; Charles Enderlin v. Philippe Karsenty, Court of Appeals, Paris, May 28, 2008; Le Figaro (Paris), Jan. 25, 2005; RCJ FM radio (Paris), Feb. 1, 2005. Debriefing.org, May 9, 2011; Véronique Chemla, May 31, 2011. Metula (Israel) News Agency, Mar. 23, 2011. Richard Landes, dir., Pallywood (documentary), accessed May 31, 2011. Jeffrey Goldberg, "Judge Richard Goldstone: Never Mind," The Atlantic, Apr. 2, 2011. The Irish Times (Dublin), Apr. 4, 2011. Related Topics: Media, Palestinians | Nidra Poller | Fall 2011 MEQ receive the latest by email: subscribe to the free mef mailing list This text may be reposted or forwarded so long as it is presented as an integral whole with complete and accurate information provided about its author, date, place of publication, and original URL.